India’s diversity can be easily justified on different scales, be it the language, dressing sense, festivals or food. The diversity of Indian states is also represented by the regional food of that place. 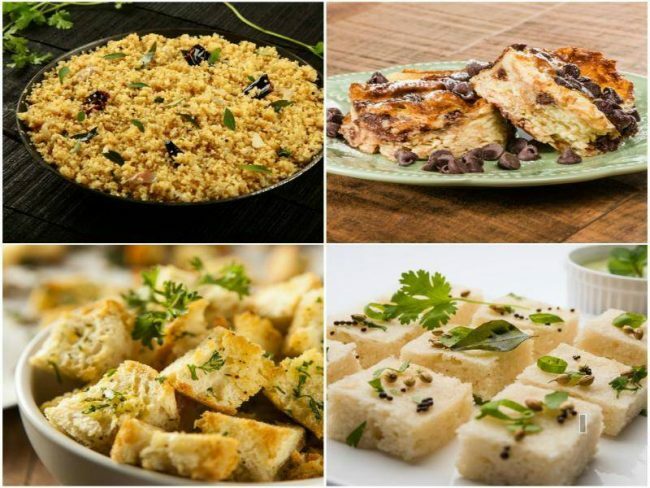 Food is the strongest thread that holds this country together and the foodie inside us can’t thank our stars enough that we are born in India, which is the land of one of the yummiest cuisines in the world. Despite the massive cultural diversity, there are certain dishes that are prepared pan India, though with varied ingredients! So, if you are a true North Indian you will definitely love your Chhole Bhature , just like a South Indian loves Idli-Dosa or a North Eastern savours the Thukpa . Have a look. Biryani is the most versatile dish and is made in a number of ways through the length and breadth of the country. The Chettinad Biryani of Tamil Nadu is hot and loaded with spices, while the Awadhi Biryani uses the dum or steam to cook the rice and meat. The Hyderabadi Biryaniuses raw meat instead of half cooked one and hence is often referred to as the Kacche Gosht Ki Biryani. In Bengali cuisine, sometimes mustard is used to make the authentic Fish Biryani . Similarly, Kashmir has Zarda, a sweet version of the biryani. Kadhi is widely loved by both vegetarians and non-vegetarians throughout the country. The North Indian kadhi is prepared by adding pakoras to the besan gravy which is made using yoghurt that gives it a sour taste. The Gujarati and Rajasthani kadhis are simple preparation of yoghurt, mustard seeds and cumin seeds with red chillies and asafoetida. It acquires a sweet taste due to the addition of sugar or jaggery. The Sindhi kadhi use tamarind pulp instead of yoghurt. The South Indian kadhi is seasoned with sauteed fenugreek, asafoetida, mustard, curry leaves and cumin seeds. The famous snack acts as a catalyst to rejuvenate every Indian’s mood on a beautiful monsoon evening. A plate of onion, potato, baingan or hari mirch ka pakoda from UP sprinkled with some chaat masala can always make our day! The love of Bengal for fish makes for the delicious and famous fish pakodas there! In Maharashtra, vada is prepared by mashing the boiled potatoes with spices like green chilli, garlic, asafoetida, and turmeric seeds. Some other famous forms of pakodas are churu in Jaipur, bajjis in Maharashtra, Karnataka and Andhra and medu vada in Tamil Nadu. The North Indian Khichdi involves uses lot of vegetables like cauliflower, potato and green peas. The coastal regions of Maharashtra are famous for their prawn khichdi. The Bihari khichdi is slightly runny and is full of crunchy vegetables. The Odiya khichdi uses moong dal and is served with pickle and papad. In Bengal, the Bhoger Khichuri is loaded with veggies and has a sweet taste. From Darjeeling to Assam and Kangra, and going all the way down to the beautiful cultivations of Karnataka and Munnar, the availability and cultivation of tea is as diverse as India’s different cultures. The famous masala chai of Gujarat is prepared with ground spices like ginger and green cardamom, while Marathis love their tea with ground cloves, ginger powder and pepper powder. One of the classic chai variants is from Kashmir which is popularly known as Kahwa. It uses saffron strands, cinnamon sticks and cardamom pods giving it a perfect aroma. Butter tea of Laddakh is prepared with yak butter, water and salt. This famous Maharashtrian recipe acquired a cult status long ago as the perfect Indian breakfast in every household. The famous Indori poha is prepared with potato and peas, and is lightly fried. The Kothamali poha in Tamil Nadu is prepared with aromatic flattened rice flakes and coriander paste. In Chattisgarh, jaggery is used to give a sweet flavour to the poha. Similarly, in Maharashtra, it is cooked with fried turmeric, chopped onions, green chilli with an addition of fried peanuts.